This post was updated on Wednesday, Dec. 6, 2017 at 11:40 a.m. 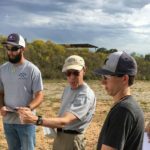 The Tarleton State University Rifle Team gives students the opportunity to take a shot at a nontraditional sport. 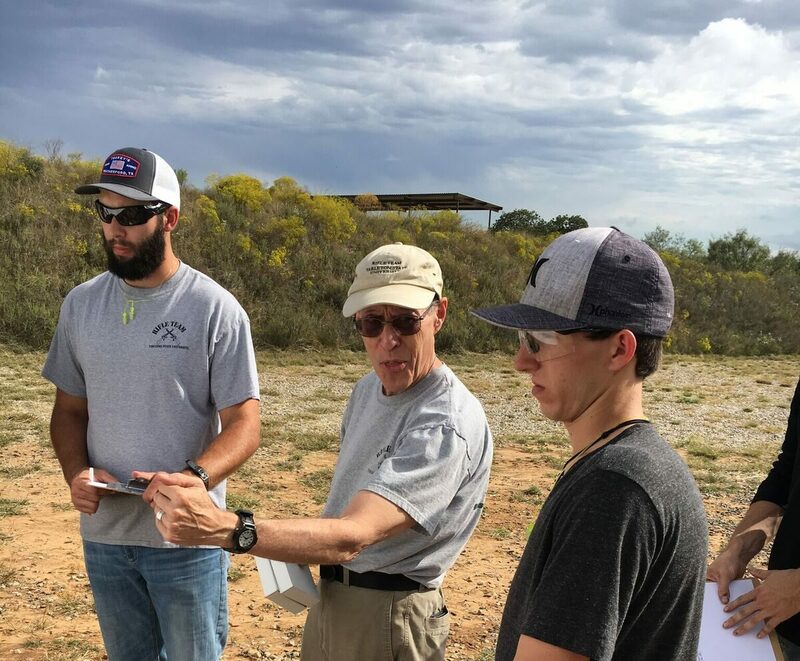 Dr. George Eichenberg, advisor and coach of the team, said the goal of the Rifle Team is to teach students proper firearm safety while having fun in the process. Many members of the team say that the Rifle Team is a fun, relaxing way to get involved on campus. The Rifle Team has a rich history with not only the university, but also the Reserve Officer Training Corps (ROTC). The team was formed by Tarleton ROTC over 100 years ago, making it the oldest team sport on campus. “The Rifle Team began with the ROTC program I believe in 1900. It was part of the ROTC program until the mid-1980s when for whatever reason, the army decided to de-emphasize marksmanship training and the army dropped their support for the team,” said Eichenberg. Eichenberg went on to say that even though the team was not around for about 15 years, Tarleton Professor Dr. Mike Hawke reactivated the team in 1999. When Hawke retired, Eichenberg stepped in and has been the team’s sponsor since 2006. Many members of the Rifle Team said that their love of firearms and the outdoors brought them to join. They also say that practices and competitions are a great way to unwind and relieve stress. “I joined the team because of my love for shooting. I grew up in the outdoors, grew up hunting and fishing. Given the line of work I want to go into after I graduate, it’s a stress reliever at the end of the week to relax with friends,” said senior criminal justice major, Kenneth Weasey. Junior criminal justice major, Andrew Chapman, said he too joined for his love of the outdoors, but also hopes the team will help him in his future career. “I joined because I like being outdoors as well, and I want to hone my shooting skills as well because I think it would be a valuable tool to have in the law enforcement field to be able to place your shots accurately,” said Chapman. Even though the team competes in shooting events, Eichenberg said the mission of the team is much more important than just taking home trophies. 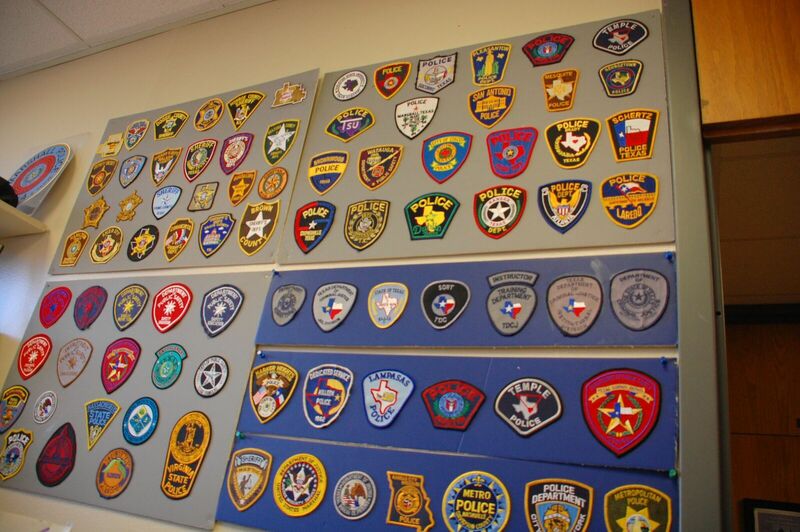 “It’s part of our mission to teach safe responsible use of firearms, so people can in turn teach safe responsible use of firearms to others,” said Eichenberg. “Dr. E(Eichenberg)’s really good about going through and taking care of you, and teaching you safety aspects,” said Kenneth Weasey. Eichenberg explained how his certification by the National Rifle Association and more than 20 years of law enforcement experience, make him a suitable candidate to teach gun safety. “I’ve gone through extensive training, in fact I’m certified by the NRA; I’m an NRA chief range safety officer,” said Eichenberg. Any sport involving firearms may sound dangerous, but according to national statistics, they’re actually the safest. “Checking national figures, the shooting sports are the safest sports people can participate in. Accidents are exceedingly rare and when they do occur, if the person’s wearing proper eye protection, there are no injuries to speak of,” said Eichenberg. The Rifle Team may be made up of college students but when it comes to the competitions, one member notes how their competitors are far from being their peers. “The one thing I like about the competition aspect is that nine times out of 10, we’re the youngest people there,” said Weasey. “Everyone else is either retired law enforcement, retired military or just old guys who enjoy shooting. Unfortunately, there are not very many other schools that have this type of organization, otherwise we would love to compete against them as well,” said Weasey. Although the competitions are very diverse, one female member said that the lack of women competitors at competitions is a running joke within the team. “We joked about it on the team when there (were) one or two other girls. We’ll say we should have our own girl division. Then when I was by myself, I was like, ‘well I won the female division’,” said Bailey Russel. She has since graduated, but still comes out to support the team. However, Russel went on to note that female competitors are treated no different from male competitors on the Rifle Team. “You’re thrown in with all the boys and you’re treated like one of the boys pretty much,” she said. “My main concern is learning safety. So, if students are interested, they need to contact me. 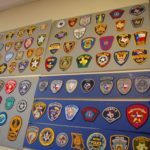 The main requirements are; you have to have a clean law enforcement record, no issues with drug or alcohol abuse, no domestic violence, 2.0 GPA and the attitude toward safety and following directions,” said Eichenberg. It was the late 1980’s and the ROTC Rifle Team program was drop due to the venting system in the indoor range, was poor and the cost to update it cost more then the Collage or the Army would pay, back then the ROTC program was not as big as todays ROTC, program. I was a ROTC instructor back then. EPA came in and inspected the range and it don’t meet the safe level, the lead in the air was to high, so they shut the range down. Retire MSG Robert E Becker. If you have any question about this fill free to contact me.